Weekend is here! 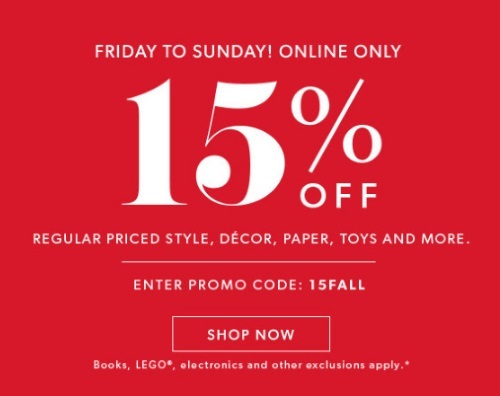 Chapters Indigo is offering 15% off on regularly priced style, decor, paper, toys and more with the promo code below! Offer excludes books, LEGO, electronics and other exclusions. Enter the promo code 15FALL at checkout. Offer is valid until Sunday, October 23, 2016.